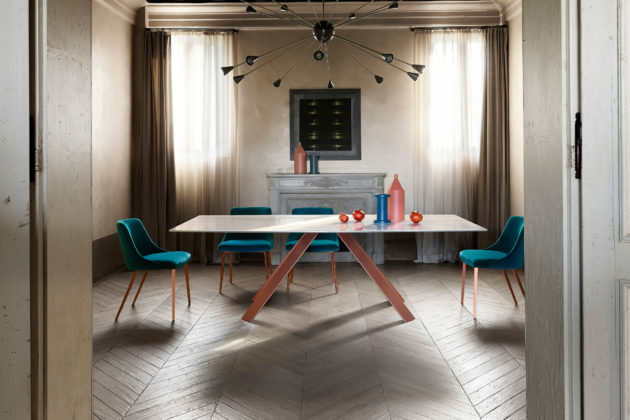 The new collection of tables and chairs by Ronda Design fits into a refined dining area yet with a strong personality. Original shapes and precious materials are the cornerstones of the Ronda Design philosophy. 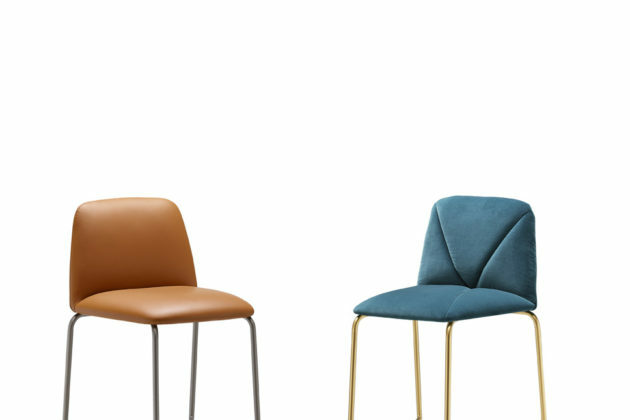 A collection of chairs, easy chairs and stools characterized by a cozy shape and a soft finish. 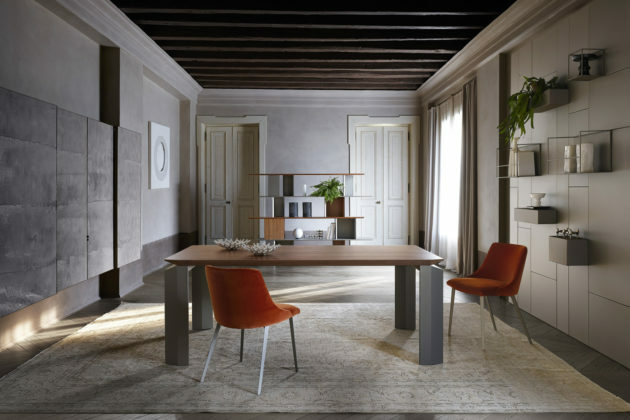 Asana's structure is proposed in painted metal, and the seat is available in leather, synthetic leather or velvet. 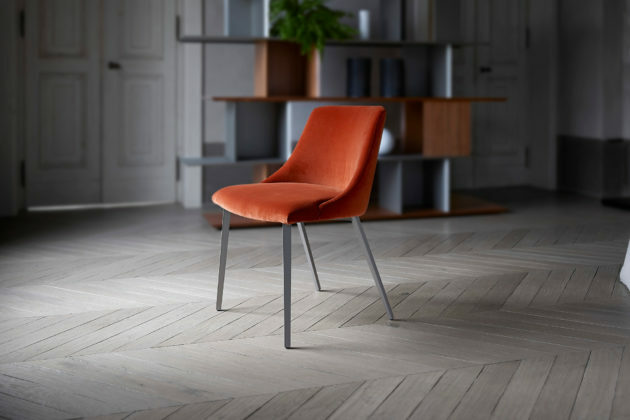 Asana is an easy chair characterized by a cozy shape and a soft finish. 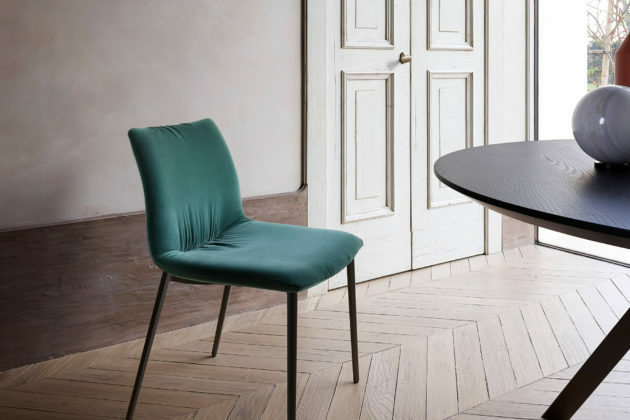 Asana's structure is proposed in painted metal, and the seat is available in leather, synthetic leather or velvet. 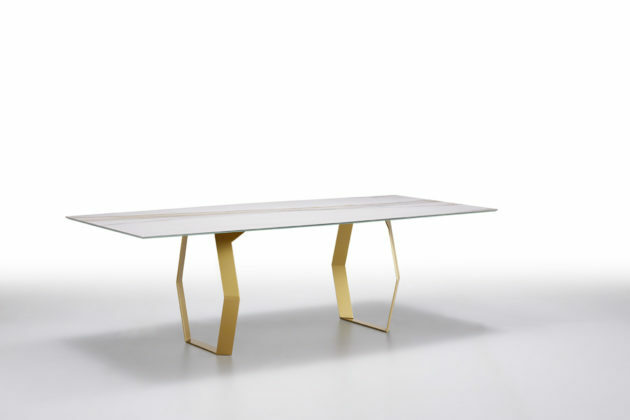 Dining table with a contemporary yet refined design. Painted metal base available in different finishes. Top available in marble, ceramics, stained glass or wood and available in a rectangular or in a slightly hexagonal shape. Round dining table with a contemporary yet refined design. Painted metal base available in different finishes. Top avaiilable in marble, ceramics, stained glass or wood. Mantra is a collection of chairs available in two versions: one with decorated padding and one with smooth padding. Seat is available in leather, eco-leather or velvet. Mantra is a collection of stools available in two versions: one with decorated padding and one with smooth padding. Seat is available in leather, eco-leather or velvet. 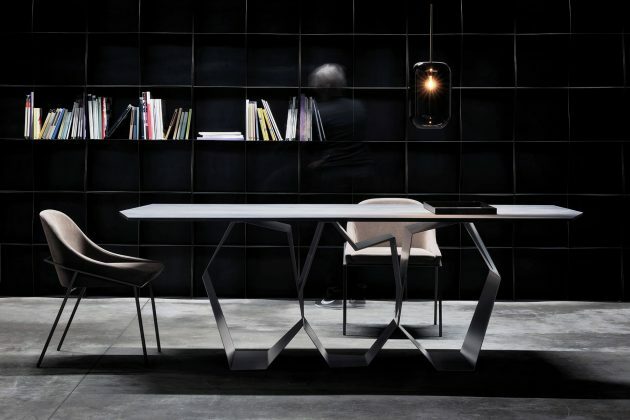 Mexa is a table with hexagonal legs. The metal base is available in different finishes. Top is in ceramic, glass or wood and in rectangular or hexagonal shape. 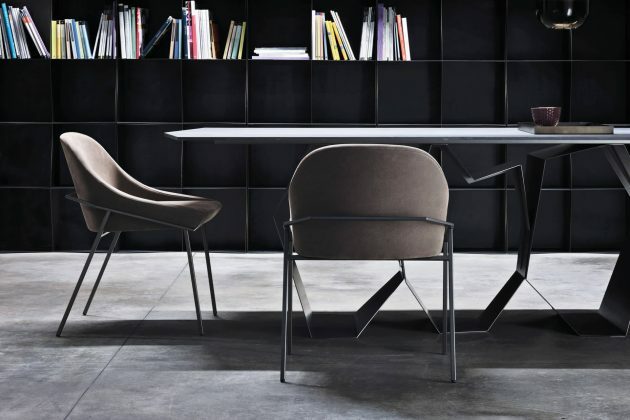 A collection of refined and ergonomic chairs and stools. The Nirvana structure is in painted metal while the seat is softly upholstered with leather, synthetic leather or velvet. 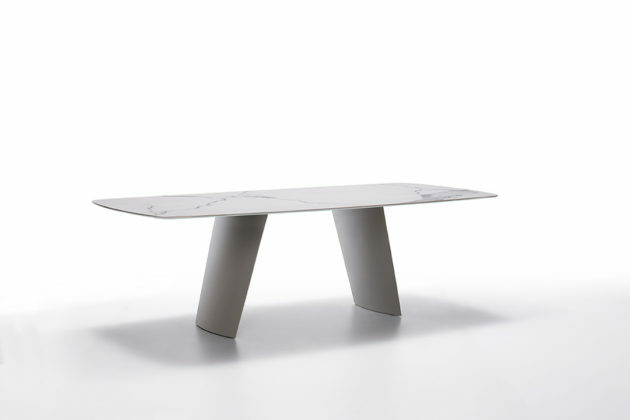 Opera is a table with an essential design. The metal base is available in different finishes. Top is in ceramic, glass or wood and in rectangular or smooth shape.